Carré and Joyal’s victory was their second in as many events, and their third overall triumph in the season. Tall Pines was not without its challenges – the team lost a lot of time struggling to find grip on one stage during the mid-day loop. However, they were able to rebound and held a comfortable lead to the finish with relatively little drama. Jean-Sebastien Besner and Yvan Joyal claimed second overall. The team were best positioned to threaten for a lead until a spin on the Golton Super Special cost them approximately 35 seconds, knocking them too far back with too little remaining stage distance to make up the time. 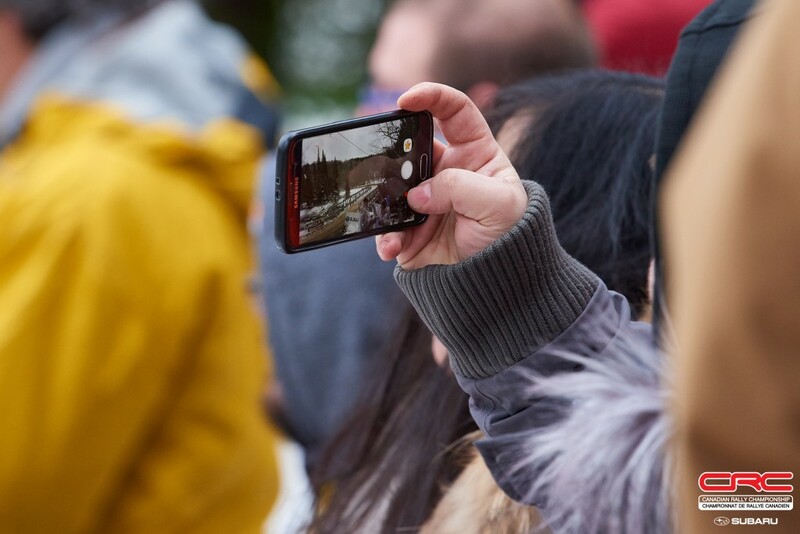 During the week leading up to the rally held in Bancroft, Ontario, the region experienced a deep freeze and substantial snowfall. As the weekend neared, the temperature climbed and the snow began to pack down into a slippery, icy surface. On the day of competition the skies clouded over and it began to rain in the afternoon and evening creating a treacherous surface and slowing competitors dramatically. 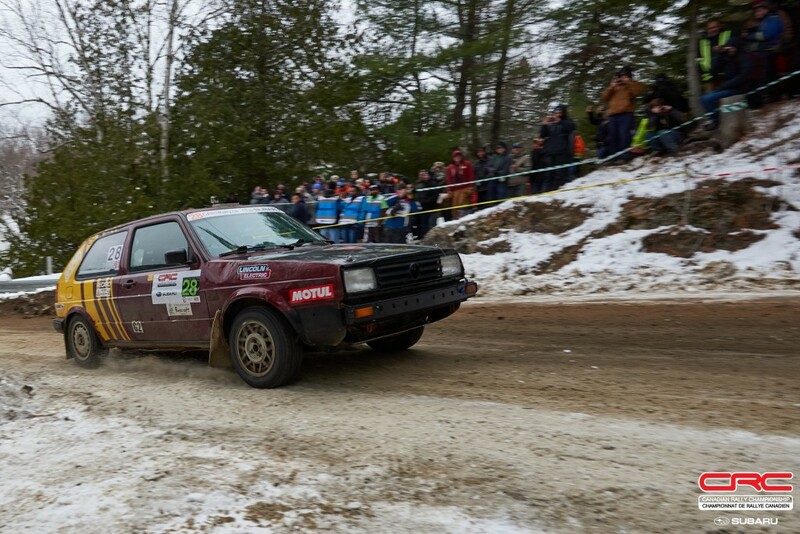 Rounding out the podium after a season of mixed fortunes, Boris Djordjevic and John Hall finished third overall despite picking up three flat tires during the final leg of competition. “It was so hard to change the tires because the road was so icy,” said Djordjevic. “But we get to the finish, and we are here on the podium. It feels good. Now if we can get the car ready, we’ll be at the Big White Rally to finish the season. Fourth place went to Marc-Andre Brisebois and Marie-France Desmarais who put in a calm cool drive to earn the spot. 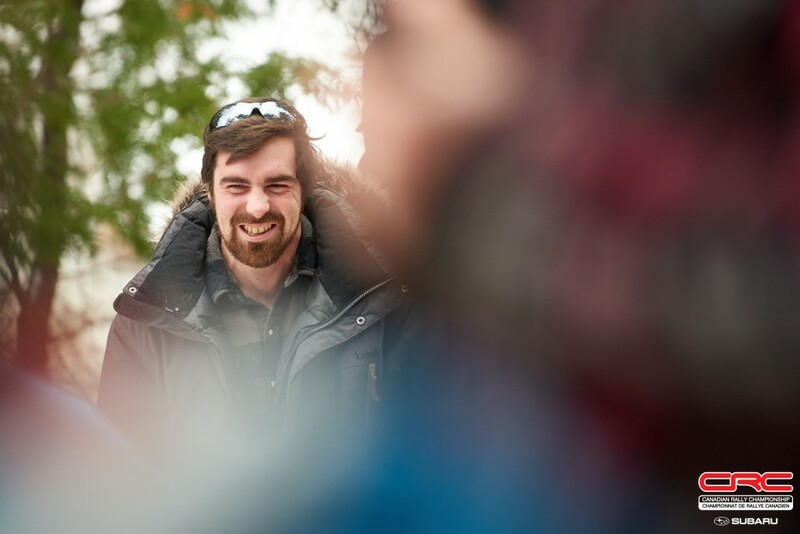 Brisebois was awarded the Novice award for his efforts, Tall Pines marking his third stage rally in a car. 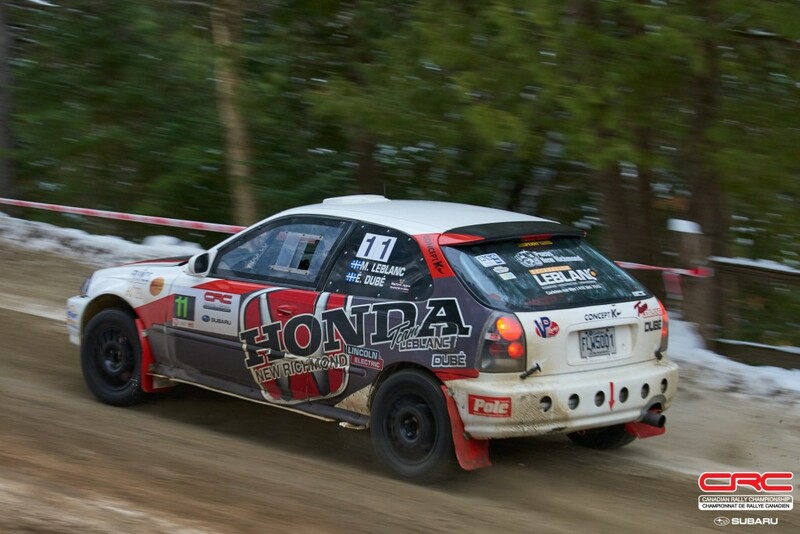 The professional stunt man had driven side-by-sides in rallies prior to stepping into his TEST Racing Subaru. The rally was especially frustrating for Simon Vincent and Hubert Gaudreau. The team entered the event second in the championship standings, but with experience on their side. 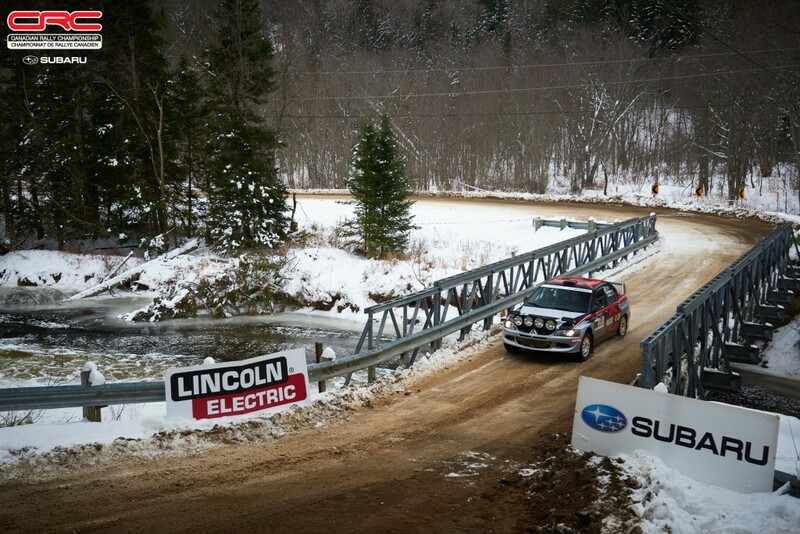 Vincent has multiple podium finishes at the Lincoln Electric Rally of the Tall Pines and hoped to capitalize on that background. 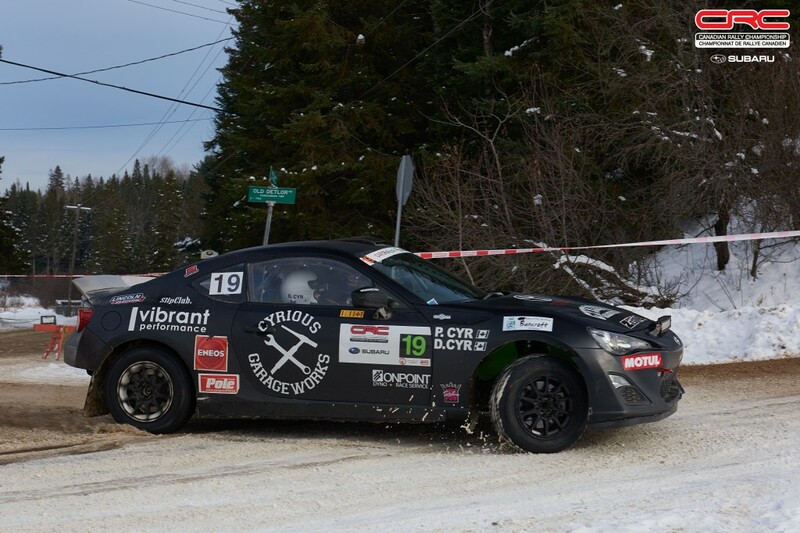 The team was pushing on the long Egan Creek stage hoping to make up ground on event leaders Carré and Joyal, but instead suffered flat tires that forced the team to stop mid-stage to make repairs. The lost time knocked them down the order and while they recovered a few positions, the ended the day in sixth place. Two-wheel drive saw some new faces emerge in battle. 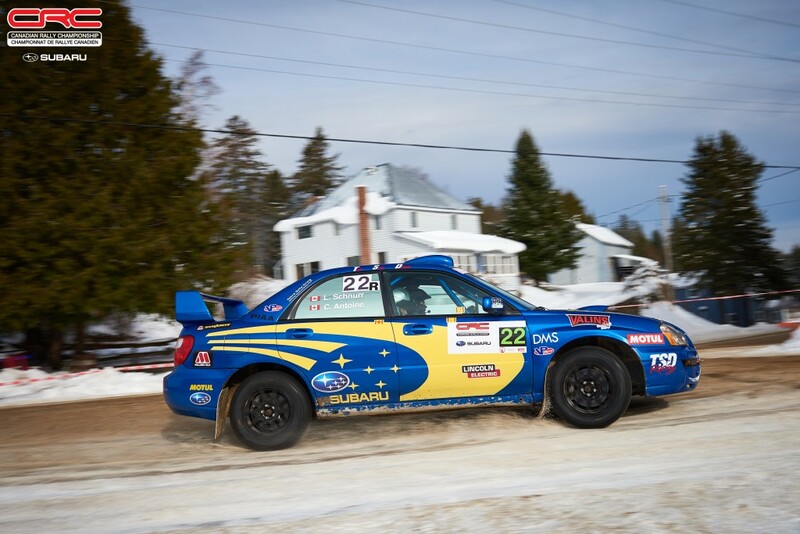 With the 2018 class championship already locked up at the previous round of the championship, the Pacific Forest Rally, the western teams opted not to travel to Ontario, opening the door for eastern teams to put on a show in their hunt for victory. 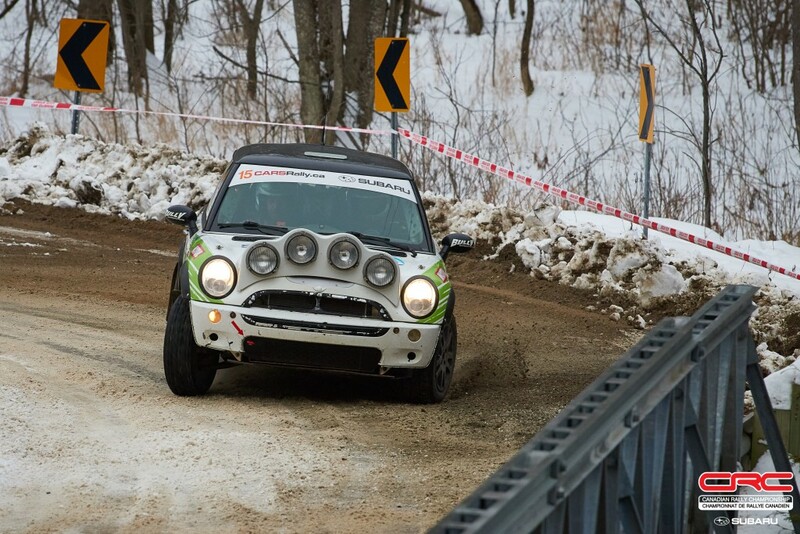 Philippe Benoit and Ian Guite carved out an early lead, pushing their Mini Cooper hard through the first half of the event. They have shown glimmers of speed in the past but struggled with reliability. This year appeared to be going well until the team suffered a flat tire on the Egan stage. They tried to drive it out to the stage finish until getting stuck in a water hole. Mathieu Leblanc and Eric Dubé of New Richmond, Quebec, were able to overtake Benoit and Guite to take over the lead. 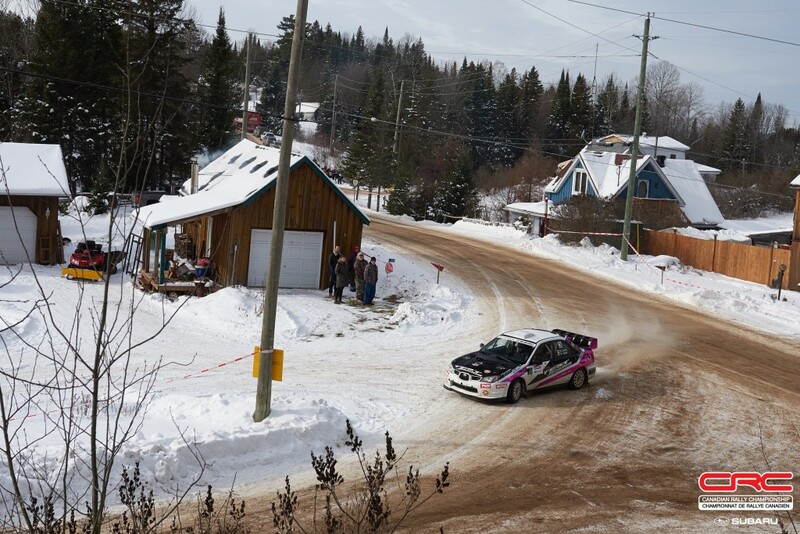 Leblanc and Dubé have proven very fast in difficult conditions, winning their class at the icy season opener, Rallye Perce Neige. Meanwhile, for all the difficulties, Benoit was still happy to claim second place in class and tenth place overall. Third place went to the team that would have undoubtedly won the “Best Showmen” award if such a title existed. 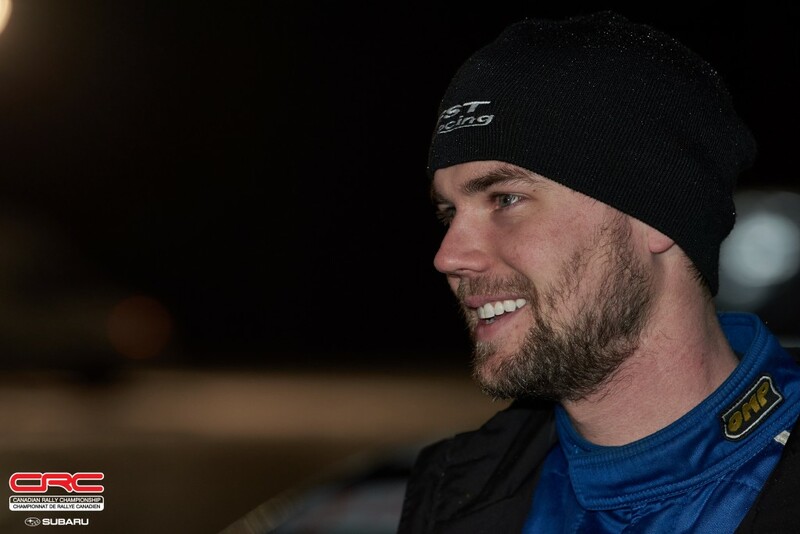 Drift competitor Patrick Cyr along with brother and co-driver Dan Cyr seemed to revel in the bad but consistent conditions. Initially the pair attempted to drive clean lines but didn’t feel confident about the grip. Reverting to a sideways style of driving, the team quickly became the crowd favourite and felt better behind the wheel. The team had typically been setting times outside the top ten though a clean run through the Egan stage gave the team a seventh fastest time. 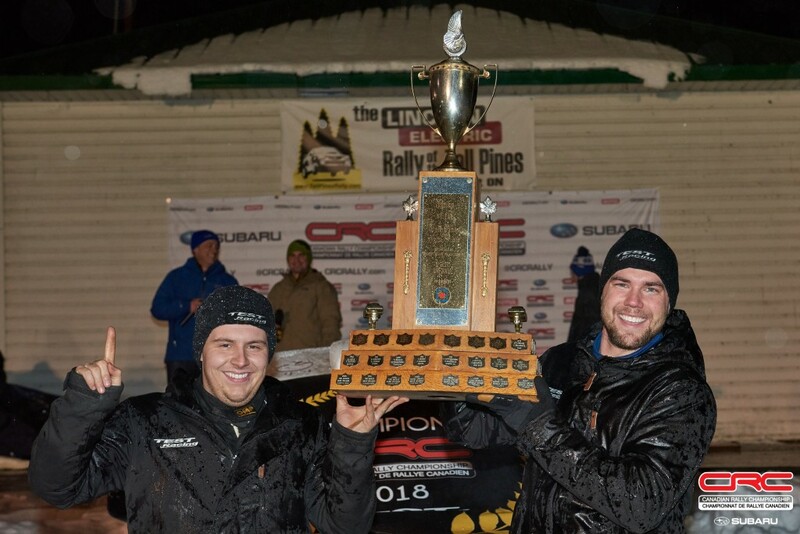 Later as the teams at the front slowed to minimize risk on the final pass through Lower Old Hastings, under the cover of darkness, Patrick and Dan Cyr set a third fastest time. “We just drove in a way that felt comfortable,” said Patrick Cyr. “I know it’s not really the fastest, but for us, it’s a style where we’re most comfortable. I’d just grab the handbrake to initiate early and then get on the throttle once I could see the apex of the corner. 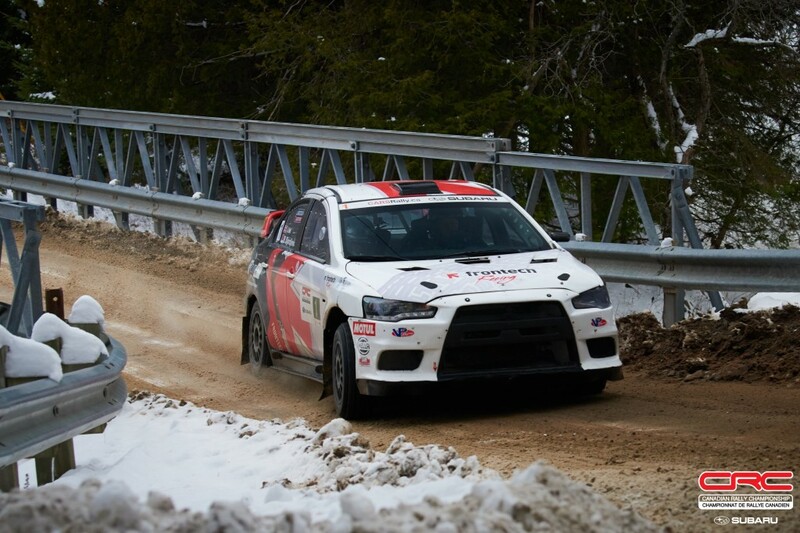 The Canadian Rally Championship concludes at the Big White Winter Rally in Kelowna, BC, December 8-9. 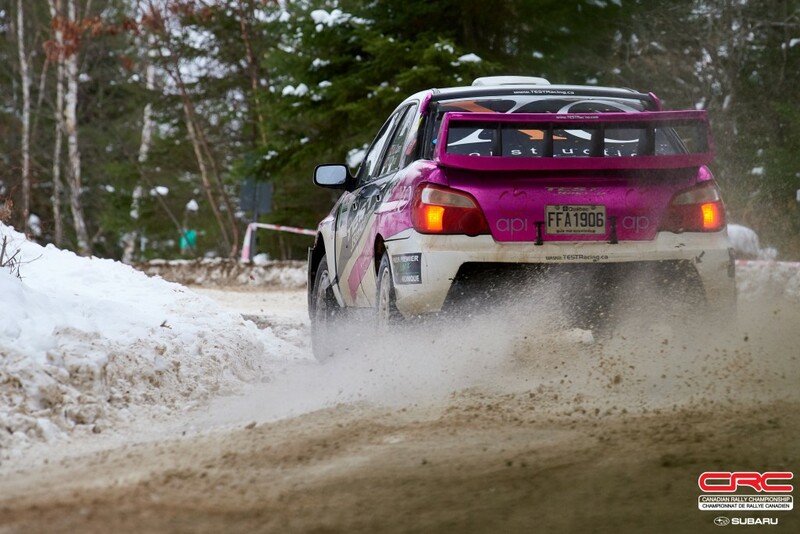 Continue to follow the Canadian Rally Championship on Facebook, Instagram and Twitter.